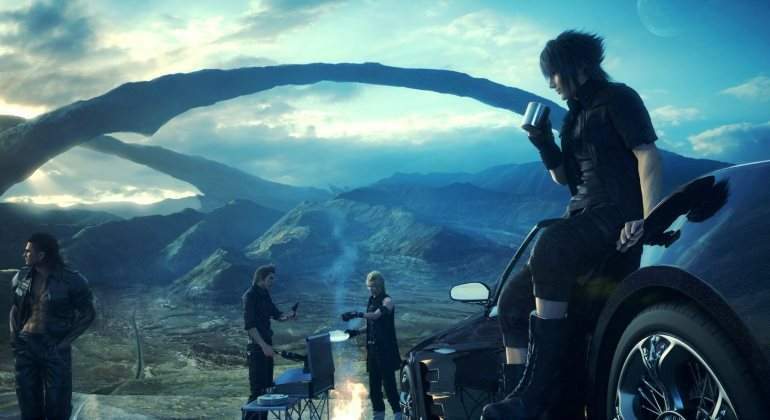 Final Fantasy XV is almost upon us and in anticipation we at EOFF have conducted our top ten things we can't wait to do in Final Fantasy XV. So, that Humbaba kicked our asses royally at the end of the last episode. Not wanting to seem like they're too terrible, The Shaunas sorted their lives out a bit and leveled up. Now with their new found level ups, they face off against their old nemesis. Spoilers - they lose again. 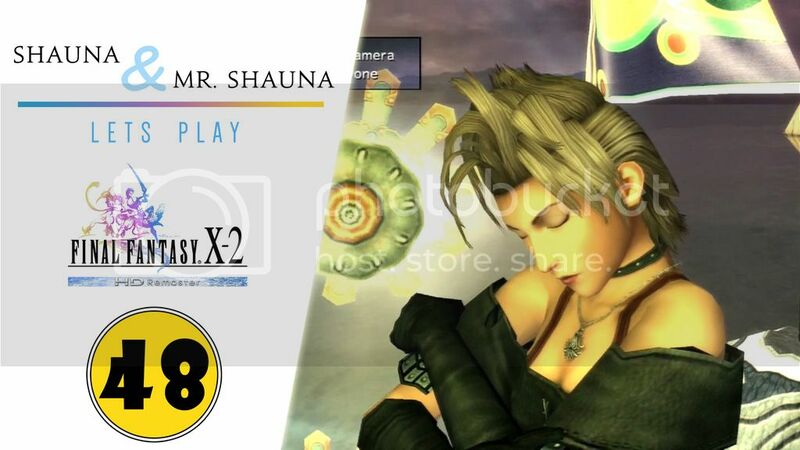 Let's Play Final Fantasy X-2 HD Remaster #47 - Back, and Better than Ever! Or that other thing. Completely on the other side of the spectrum. 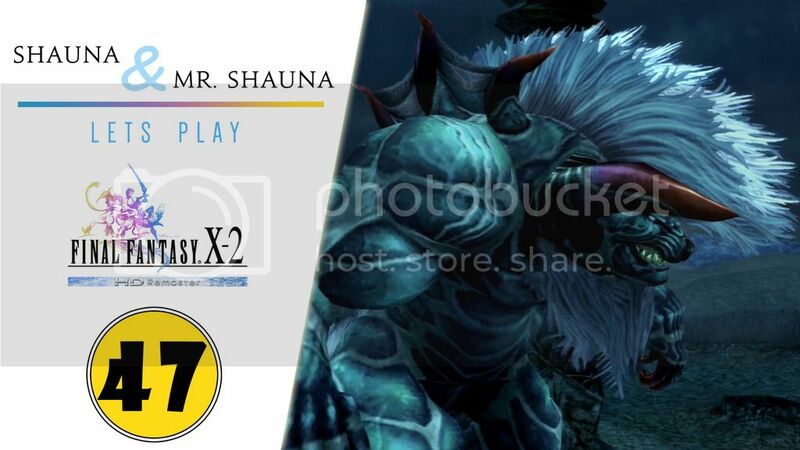 The Shaunas are rusty at this game, but not rusty enough at being terrible Let's Players. We take on the Thunder Plains, if you can even call it "taking on"
In what seems to be turning into a trend, Square Enix announced today that their popular smartphone game, Mobius Final Fantasy, will be arriving to PC's via Steam this November! Check out the Announcement trailer if you aren't familiar with this game. So far this will only be for Japan. The original game is currently available on iOS and Android on the western front so it may not be long until steam gets a Western localization too. No word as of yet when we'll see it on this side of the world. At the Final Fantasy XIV Fan Festival in Las Vegas today, Naoki Yoshida announced Final Fantasy XIV's next expansion, Stormblood. Slated for a release in summer 2017, we have a few details about 4.0. Before we go into that, check out the Teaser Trailer! The Monk job will be a focus in Stormblood just like how Dragoon was a focus in the previous expansion, Heavensward. While it wasn’t officially announced, Yoshi-P wore a “Scarlet Witch” shirt, teasing a possible Red Mage job as one of the new ones for 4.0. He previously wore a Batman shirt to tease the Dark Knight job, and a 007 shirt to tease a new gunner class which ended up being Machinist. The level cap will be raised from 60 to 70. 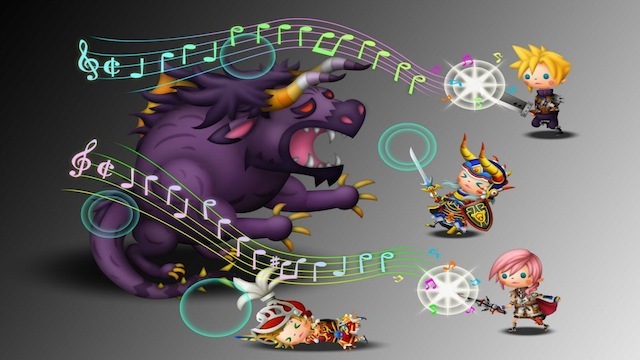 Stormblood will usher in a revamped battle system which will include an additional skill system overhaul and a reassessment of ineffective, unused actions. Final Fantasy XV drops in little over a month and Square keeps dripping information for the game. 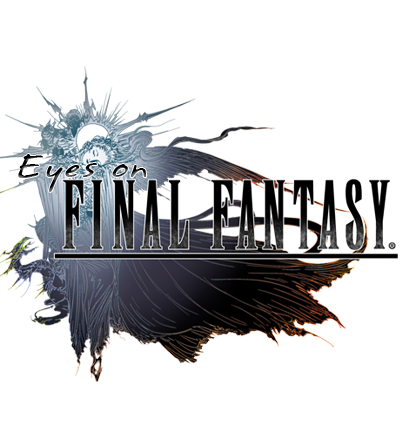 Today, we have four minute gameplay video of Noctis casting this iteration's Death spell. Death in this game works a bit differently than what we're used to seeing in the series. A purple light emerges from Noctis's hand and the enemy's health is slowly drained and converted to Noctis while it grows thin and eventually disappears. It's definitely different and seems to be more accurate than its appearances in other games with the downside being that it isn't instantaneous. You can watch the gameplay trailer below. 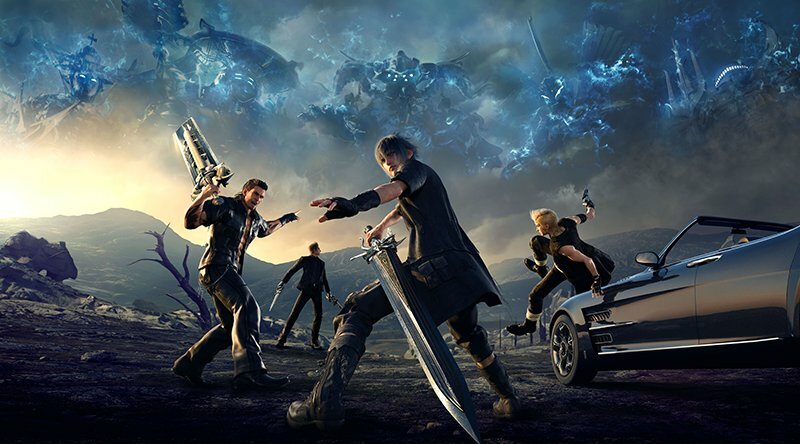 Final Fantasy XV hits PlayStation 4 and PC on November 29. Today, we are treated to a new character trailer for Dissidia Final Fantasy. Today's character is Ace from Final Fantasy Type-0. He is a member of Class Zero and like Setzer from Final Fantasy VI, he uses cards for weapons. He appears to be a range based character. He will playable in Japanese arcades on September 28. There is currently no word on a North American release date. 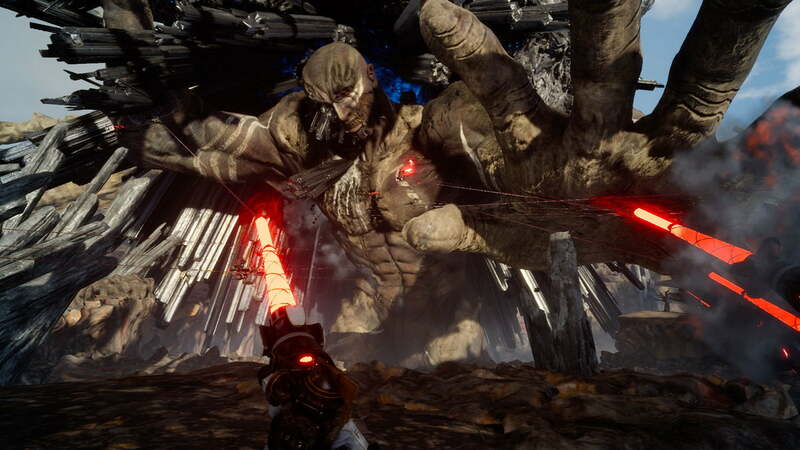 Square Enix's followup to NieR made it to Tokyo Game Show this year and with a new demo showing off the tech and stylized combat that the developer Platinum Games is known for. The two gameplay videos were released from these demos showed off some impressive feats. The first displaying a story segment of the game that blends this action game with 2D side scrolling with a bit of platforming ensuring that the game will always give you new ways to keep your attention. The second video shows off the High Score Challenge Mode which is basic arena battle mode where you attempt to rack up as most points as possible within the time limit. Here we can witness the high speed intense combat in all it's glory. The attacks are viscous and visceral and even from the video you can feel the blows being delivered on each enemy. The combat appears very smooth and intuitive. In this gif we can see YoRHa switching from gauntlets to katanna halfway into the air combo flawlessly.